E-commerce giant Amazon has invested $1.5 million (Rs 10.5 crore) in Amazon Retail India, the global company's food retail business in the country, The Economic Times reported, citing regulatory filings. The infusion comes almost four months after Amazon rolled out its India food retail venture from Pune in February. 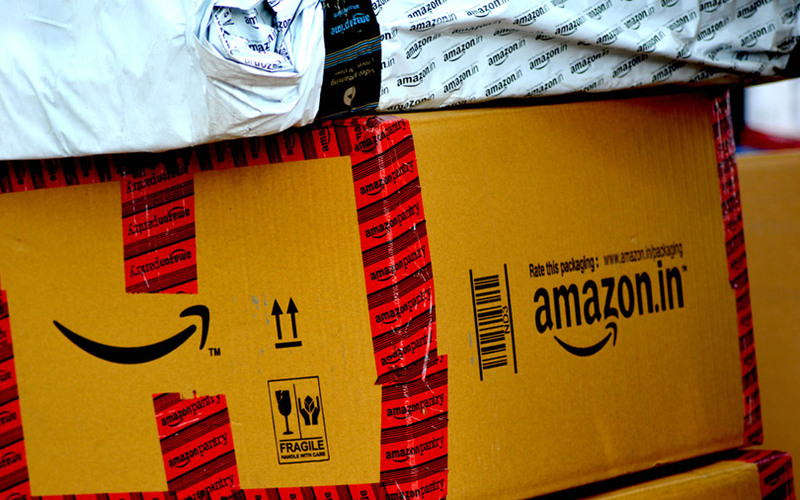 Under the pilot programme, Amazon operated as a vendor on the e-commerce website. Almost one year back, US-based Amazon had secured the government’s nod to invest $500 million (Rs 3,228 crore) in the food retail sector. The government had, in 2016, allowed 100% foreign direct investment in food processing and trading, including through e-commerce, for products manufactured in India. Amazon’s foray into the food retail business makes it the first foreign e-commerce player to stock and sell food products directly to customers in India. Email queries to Amazon did not get a response till the time of publishing this report. Amazon also offers online delivery of groceries and daily essentials through its app Prime Now (rebranded from Amazon Now https://techcircle.vccircle.com/2018/05/30/with-an-eye-on-flipkart-amazon-rebrands-and-expands-hyperlocal-grocery-service) and its online supermarket service Amazon Pantry. Amazon's rebranding and expansion of Amazon Now in May came amid reports that main e-commerce rival Flipkart is set to formally launch its own online grocery service soon. Homegrown firm Flipkart had announced a soft launch of grocery delivery under the brand name of Supermart in November 2017 in a second attempt at the grocery business. Home-grown online grocery space players BigBasket and Grofers, too, have received government approvals to invest in the food-only retail business. Interestingly, BigBasket, which had raised $300 million (Rs 1,921 crore) in a Series E round led by Chinese e-tailer Alibaba, had rejected a 100% buyout offer from Amazon. The US-based e-commerce giant has been raising its India play. Last month, Amazon pumped Rs 2,600 crore (around $393 million) into its Indian unit Amazon Seller Services Private Limited, ahead of US retail giant Walmart's announcement of Flipkart buyout for $16 billion. The infusion brought Amazon's total investment over the years in Amazon Seller Services to more than Rs 20,000 crore. Amazon had earlier committed $5 billion (Rs 32,500 crore) to its Indian operations. Amazon Inc.’s massive investment in India continues to drag its margins, with the loss of its international business growing by 30% to $622 million for the first quarter of the calendar year 2018. It had reported a loss of $481 million in the first quarter of 2017.